When I got drafted by Minnesota, and I think I said this a couple weeks ago, I think I felt obligated to bring a Super Bowl to Minnesota. 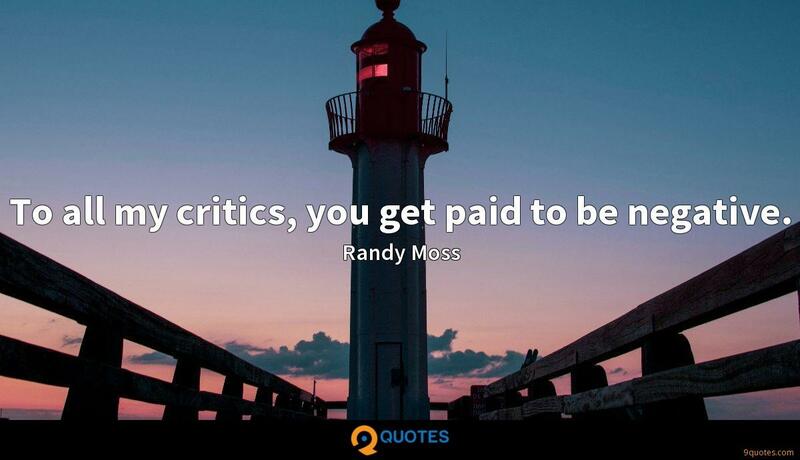 Randy Moss Quotes. 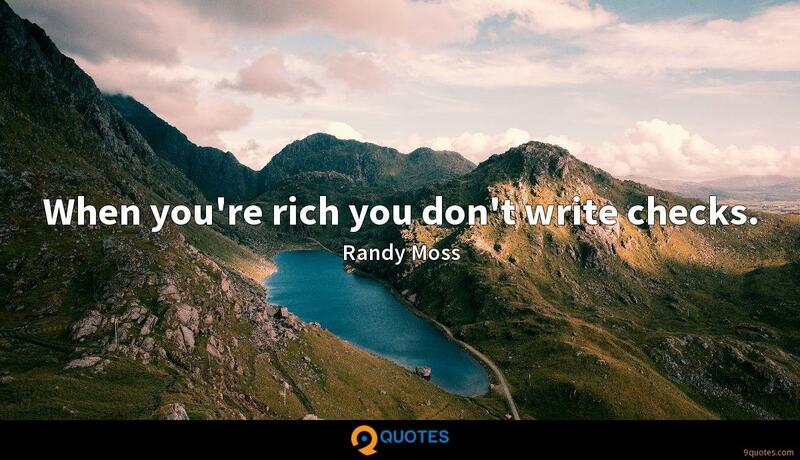 9quotes.com, 2018. http://www.9quotes.com/quote/randy-moss-177889, accessed 20 April, 2019. I can't usually stomach a project after I finish it, but for those days and weeks and months that it's new to me, I do listen to it, and it might change over time, but it's about function. When you're rich you don't write checks. I love the game so much. I've been penalized. I've been fined. I have some regrets in my career. But for those four hours on Sunday, you can be free and just let it all go. Retiring had nothing to do with football; it had to do with my family.